You love what you do. In fact, your business is your life. What would you do without it? It’s unimaginable. Still, there are annoying aspects of running a company – like insurance. Yuck. You hate insurance. You hate meeting with insurance agents, and it’s boring. Oh God is it boring. But think of it this way: you need business insurance, and that requires you meet with an agent or broker. Now, if meeting with that broker or agent could save you a substantial amount of money, would you do it? One of the ways to pay less for insurance is to reduce your coverage amounts. 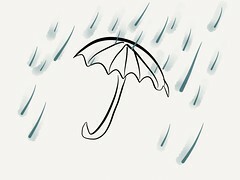 Sure, it’s not ideal, but you can probably comb through your business insurance policy and see where you can cut back. For example, you probably have deductibles that are pretty low right now. Can you raise those up a bit. You’ll still have the same coverage, but you’ll pay more out of pocket before the insurance kicks in if you increase your deductibles. The advantage is that, by raising the excess, your premiums drop considerably. Do you have the best group rate possible? Many business organizations, like the Chambers of Commerce and the CFIB, have insurance plans and discounts for business insurance for new members. Consider joining an organization if you haven’t already. Yes, you’ll have to pay to become a member, so make sure that the savings aren’t offset my the membership dues. Companies like Kanetix can help to make this type of analysis fairly easy. Have a serious discussion with your insurance representative about how to lower your business insurance costs. Would you benefit from installing a security system on the property? What about the products and services you’re offering? Do they increase the risk associated with underwriting (insuring) your company? Is there some way to slightly modify your offering to lower your premiums? Your friendly neighbour to the south isn’t always friendly. The increases in business liability insurance for Canadian small businesses have been substantial. Most insurance companies view doing business in the U.S. as a risky endeavour due to America’s litigious society and the nature of the legal system. Does relocating sound a bit too “extreme”? Well, the reality is that the cost of doing business can vary greatly depending on what province or territory you live in. For example, vehicle insurance is much more expensive in Alberta and B.C. than it is in the Maritimes. A lot of this kind of information can only be discovered through a knowledgeable insurance agent. You need someone who is exceptionally honest, and willing to push you out of his regional territory – it’s rare. Outside of that, you might try hooking up with a national broker who doesn’t have loyalties or ties to one particular province or territory. When you shuck it down to the cob, what you’re looking for is a low-cost business environment that offers nice group rates and where there’s a low probability of you being sued. Bill Nixon was a life insurance advisor at Kanetix.ca for many years. He now likes to share his experiences by blogging on the Internet.